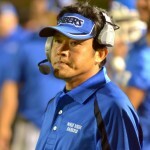 Past recipients of the Silver Beaver along with new recipients Hilton Unemori and Bonny Herbert. Front row : Ernest Okimoto, Emi Sakagawa, Hilton Unemori, Bonny Herbert, Marilyn Niwao Roberts, and Scott Neerings. 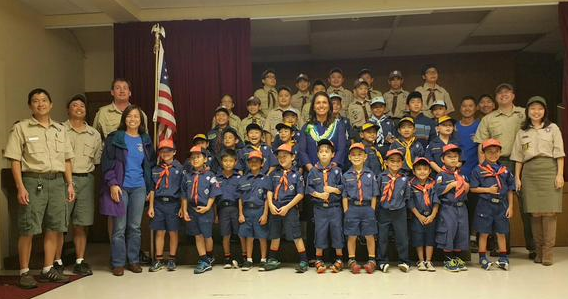 Back row: Herb Yuen, Fred Wong, Brian Kakihara, Grayce Dean, Danny Hong, Mike Ito and Brian Hashiro. Courtesy photo. 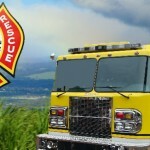 The Maui County Council recently held its Annual Banquet and recognized key volunteers for their outstanding service to Scouting and the Community. The organization also kicked off the year with a $25,000 donation from Alexander & Baldwin Inc. towards a capital campaign for improvements at Camp Maluhia. 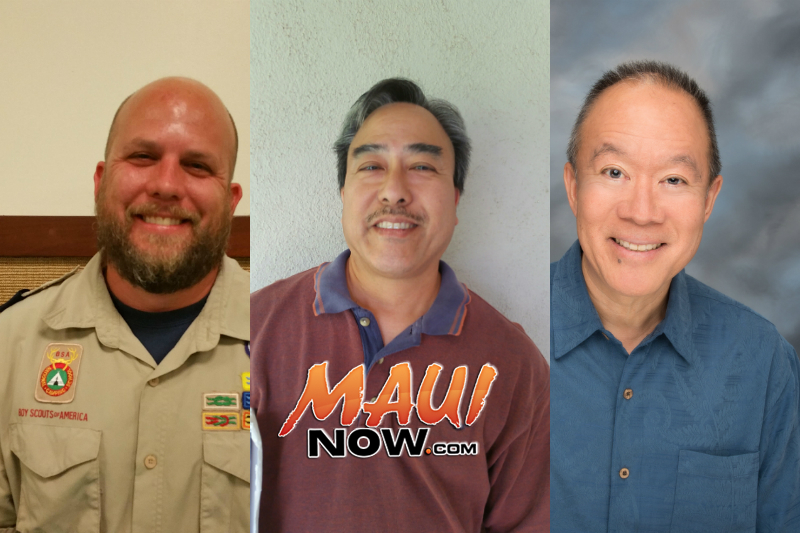 Patti Domingo, Howard Takamori, Gregory Takahashi, and William Julian Sr. were recognized with the organization’s District Award of Merit for their service. 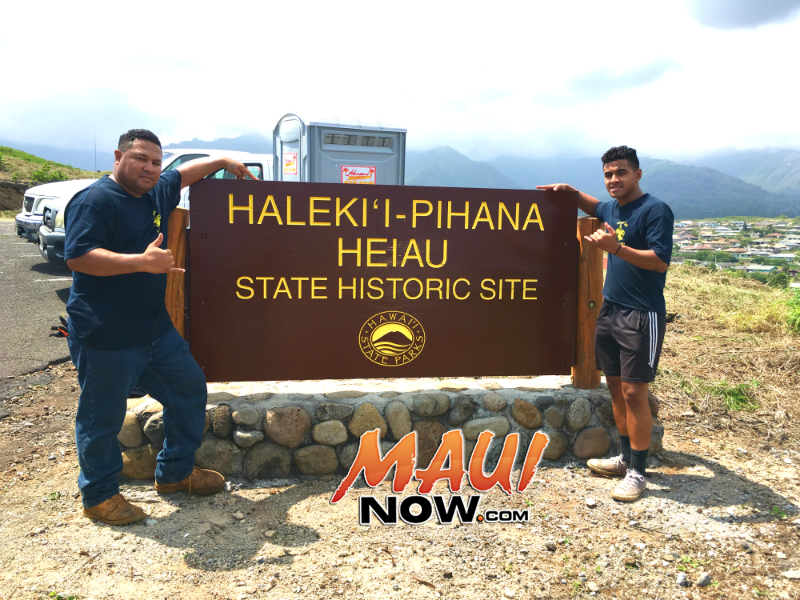 The award is the highest accolade for a volunteer for service beyond their unit. 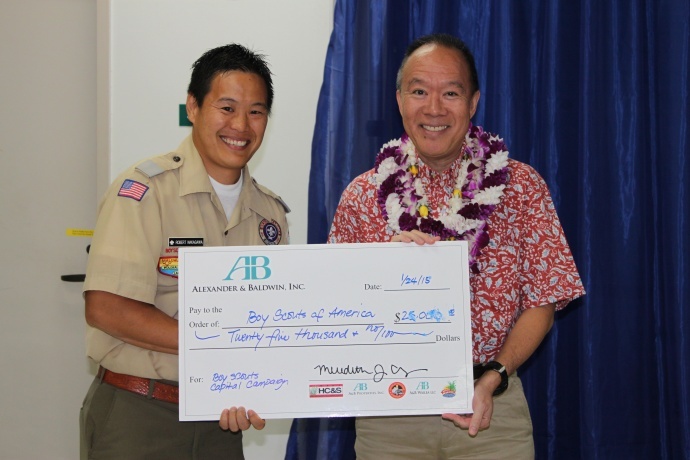 Newly Elected President Grant Chun (right) of A&B Properties presents a $25,000 donation check to Scout Executive Robert Nakagawa (left) for the Camp Maluhia Capital Campaign. Courtesy photo. 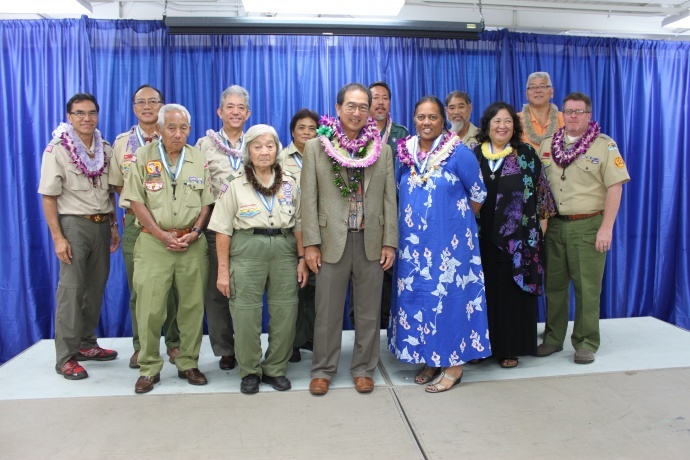 The organization’s Veteran Award was given to Ernest Okimoto for achieving 65 years of active involvement in Scouting, serving in a multitude of positions spanning the last six decades. The Boy Scouts of America is a youth program that aims to inspire character development and values-based leadership training.